Invertase plays a major role in the digestive process of the human body. It is one of the essential enzymes that helps to digest sugars. Invertase helps in the overall prevention of diseases, anti-aging process, and physical rejuvenation, which could be a significant factor for the demand in the global market. Chemotherapeutic properties of invertase increase its demand in the market. According to an Australian and Japanese research study, it is found that enzymes found in honey can deal with bone and stomach cancers. In some situations, the diseases regress and can be cured using therapy based on these enzymes. Invertase treatment can also diminish the adverse effects of radiotherapy and chemotherapy. Invertase is a standard food addictive. Lack of these enzymes can slow the digestive process in the body. Some forms of carbohydrates and sugar are good for the body and cannot be digested or absorbed without the help of invertase enzymes. Thus, there is huge development in the enhancement of functional analysis for many enzymes. Its demand as invert sugar in the production of candies is increasing the growth of the market. It is largely used for commercial baking due to its ability to retain moisture for longer period. These are some of the factors that are helping with market growth. Due to its hygroscopic nature, invertase is also used in production of crystallizable syrup. Its use in production of lactic acids, alcohols, and glycerol due to sucrose fermentation is increasing its demand in the market. Other factors leading to the growth of the global invertase market are increasing demand from consumers for various innovative products in food and beverages industry. This opens up new opportunities for the demand for invertase in the market. It has offers benefits such as antioxidant support and helps in improving the digestive system, combating cancer, and rejuvenating the immune system. Its application is also benefiting the pharmaceutical industry. The widespread use of invertase is spreading globally and largely benefitting the market. Invertase has various health benefits due to which it is being used in food by consumers. It is also used to cure cancer due to its favorable properties. It can be used as a natural immune booster, for antioxidant support, to cure ulcers, and to turn glucose into natural hydrogen peroxide. A European study on 18,000 patients found that enzymes including invertase cure cold and flu, thus helping with respiratory support. The global invertase market could find Latin America, North America, Eastern Europe, Western Europe, Asia Pacific, and the Middle East, and Africa growing as important regions. North America is expected to account for a larger share due to the widespread use of invertase in various industries. Maximum consumption of enzymes in the food industry could also boost the regional market. Rising demand for fructose over sucrose could be a reason for the rise in use of invertase in this region. It is mostly used in the production of candies and jams. The demand for invertase is expected to increase in the coming years due to the rise in production of food items owing to their increased consumption. Companies operating in the global invertase market are coming up with different ideas and products to gain a strong share. They are assuring differentiation in products so as to gain considerable traction in the market. 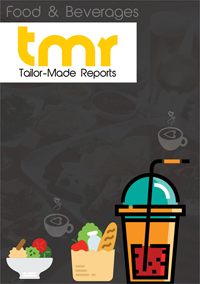 Key players are adopting various creative strategies to increase the demand among consumers. They are engaging in the development of innovative products time and again. A large number of invertase manufacturers focus on increasing funds for technical marketing support and to tap into different applications. This could also help them to serve the constant change in the needs of consumers. Some of the leading players of the global invertase market are Celanese, Eastman, Meteoric Exim Private Limited, and Solvay.